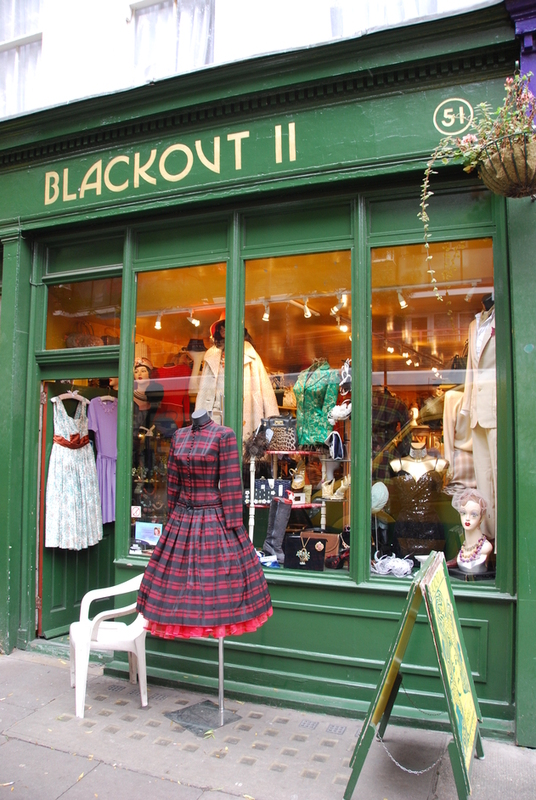 Blackout II is one of London's premier stores for all vintage clothing and accessories. Two floors of stylish and fun period clothing and accessories for men and women, from the 20s to the 80s - daywear and evening wear. Blackout II also has dedicated and knowledgeable staff who can assist in making up the perfect outfit for any visitor. Blackout II pride themselves on a high quality selection of men's suits that cover most periods from the 1940s upwards. They also supply shirts, ties, hats and shoes to complement all outfits. And when it comes to ladieswear, they don't disappoint either with a range that covers daywear/casual, cocktail, evening gowns and party dresses. Most items are also available for hire. What are the best dining options near Blackout II London? Blackout II gyms, sporting activities, health & beauty and fitness. The best pubs near London Blackout II. Blackout II clubs, bars, cabaret nights, casinos and interesting nightlife. Where to have your meeting, conference, exhibition, private dining or training course near Blackout II. From cheap budget accommodation to luxury 5 star suites see our deals for Blackout II hotels, including Radisson Blu Edwardian Bloomsbury Street Hotel from 87% off.